The Columbia County Historical Society is a 501(c)(3) not-for-profit organization dedicated to the preservation and interpretation of the history and culture of Columbia County, NY. Support our local history! Take advantage of valuable member benefits while helping support the Columbia County Historical Society’s important work including exhibitions, public programs, school outreach, regional and genealogical research. Columbia County Historical Society is a member of the North American Reciprocal Museums program, N.A.R.M. All CCHS Patron Memberships ($100+) include reciprocal member privileges (free admission, store discounts etc.) at over 675 museums. ​Reciprocal member museum privileges through N.A.R.M. 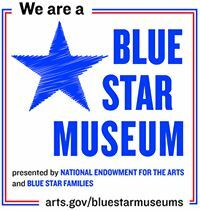 Benefits of Family Membership plus reciprocal member museum admittance privileges through N.A.R.M. Leadership Circle Members receive all Patron Membership benefits in addition to a private behind-the-scenes tour of one of the historic properties with our Columbia County Historical Society curator.